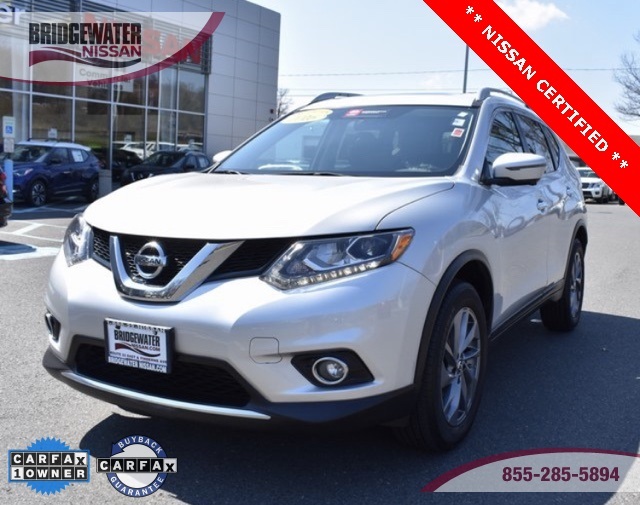 Check out this excellent condition Brilliant Silver 2016 Nissan Rogue SL AWD CVT with Xtronic 2.5L I4 DOHC 16V * 32/25 Highway/City MPG * Odometer is 13679 miles below market average! 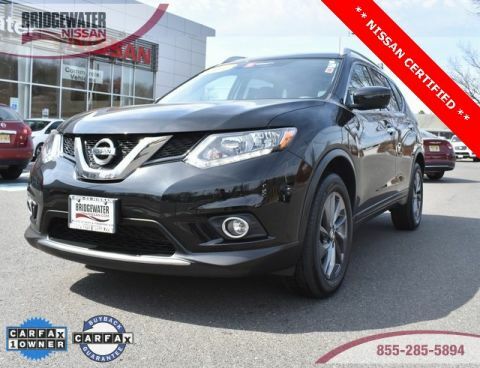 This Rogue comes with Premium pkg; Forward Collision Warning, Blind spot warning, Moving Object Detection, Navigation, Panoramic Moonroof, Backup Camera, Bose-XM radio, leather interior, alloy wheels, power driver seat, bluetooth and bluetooth audio streaming, Nissan intelligent-key with Push Start button. 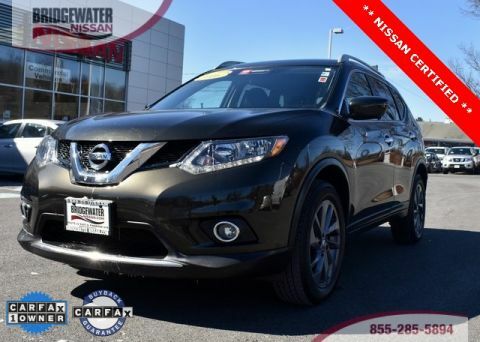 This AWD-equipped Rogue handles well in any weather condition or terrain. You'll benefit from superb handling, improved steering and excellent acceleration. 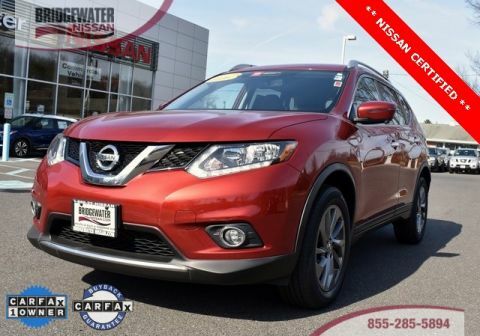 * 2016 IIHS Top Safety Pick * 2016 KBB.com 10 Best SUVs Under $25,000 * You can save over thousands of dollars, and have better warranty with Nissan Certified Pre-owned.